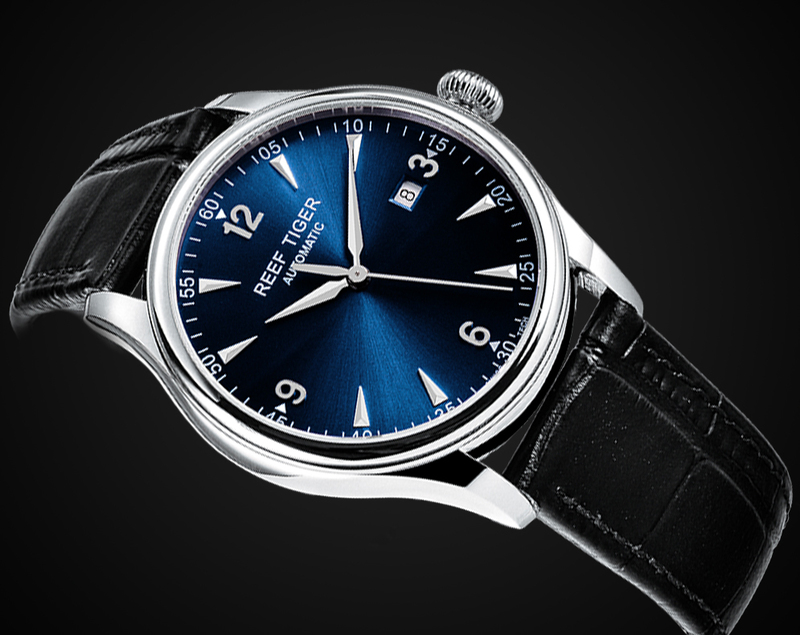 Reef Tiger Classic Perpetual II watches have characteristics of classic and concise. The watch has smooth line with simple and bright surface design to achieve classic and charming. Perpetual watches use pure stainless steel design. Its delicate craft is appreciated and trusted by a lot of watch fans. All these bring a great large of loyal supporters for this type of watches.